Although, chemical peels are the most popular and sought after cosmetic procedures, they are also the most misunderstood skin treatments available. To know what is a chemical peel treatment, different types of chemical peels, their effects, recovery time, cost, and risks involved please refer to my previous post here. In this post, I will talk about the long term effects of chemical peels, the right candidates for chemical peel treatments, and whether I would personally like to undergo chemical peel treatment for skin rejuvenation or not. Who should not go for chemical peel treatment? If you are a young teen, pregnant, or lactating mother, it is better to avoid or postpone chemical peel treatments for a later time. It is also not advisable to undergo chemical procedures if you have a history of scarring issues, sensitivity to sun, abnormal skin pigment, facial infection or undergoing anti-acne treatment with isotretinoin for the last one year. No wonder, mild chemical peels at a doctor’s office are hard to resist given their safety, quickness, affordability and dramatic results. But despite their efficacy and efficiency, even the doctors do not guarantee that the effects obtained from a chemical peel will last. Reason being our skin continues to age. After all, we continue to move those facial muscles all the time! And even if you remove those signs of aging with the help of a chemical peel treatment, they will reappear in sometime. Then you will go for another peel, yet another, increasing not only your risk of complications, but also increasing the chemical concentration you’ll need to achieve prior results! Will I personally undergo chemical peel treatment to achieve facial rejuvenation? I was all in favor of a chemical peel treatment and was intending to go for one myself until I met an acquaintance on one of my visit to the local mall. As far as I remember, she always had a nice clear skin. But much to my surprise, she looked horrible with a bad case of break-outs, sagging skin, lines and blotchiness. Probing, she told me, she is pregnant and cannot undergo her regular skin peeling sessions until three months post-delivery. She always suffered from acne and started undergoing chemical peels since her teens to maintain her clear complexion. Her skin has now become dependent on chemicals. This prompted me to do a complete research on chemical peels and their long term effects. And it so happens, the earlier you start rejuvenating procedures, the more immune your skin becomes to such treatments thereby increasing your need for higher concentrations or more invasive procedures later on to achieve desired results. I also met several ladies now in their late forties whose skin look more aged and wrinkled than some of their peers who did little or nothing in the name of skin rejuvenation or skin treatments. Hence, personally I would like to postpone or cancel altogether the need or requirement for such a treatment for mere rejuvenation or achieving younger looking skin. Does this mean one should one stay away from chemical peels? By avoiding chemical peel treatments, I do not mean to say they are bad or harmful to you but undergoing such procedures thinking and believing them to be magic elixir of youth or permanent cure for all your skin woes will only result in disappointment. So in my opinion, one should only opt for a chemical treatment in case of severe acne, melasma, or hyperpigmentation of the skin. Hence, if you have reasonably presentable skin but want to go for chemical peels just for a more luminous and smooth complexion, let me tell you there are better options available. If you continue to believe in removing the visible signs of aging by undergoing cosmetic procedures in the name of skin care and anti-aging, let me tell you, you are fighting a losing battle. True skin care is not only treating the symptoms of aging but addressing the root cause of the problem. 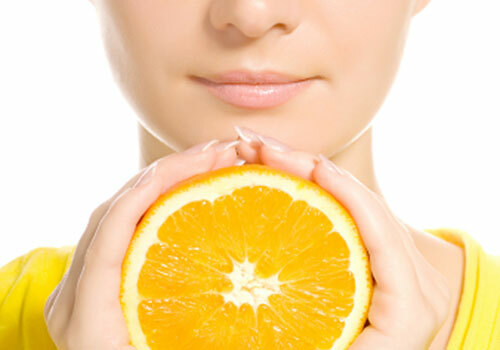 Eat healthy Our outer skin is actually a mirror of our internal health. So when our body is healthy and young from inside, our skin has no choice but to reflect health and youth, thereby making us look younger and attractive. So eating a well-balanced nutritious diet is the best bet for glowing skin. Since, damage caused by sun exposure is external to our inner health, along with eating a healthy diet, wearing sunscreen is a must to prevent aging, pigmentation, and other nuances caused by harmful rays of the sun and hence cut down the need for cosmetic procedures in the first place. Exfoliation is the key to maintaining young luminous skin. Regular manual exfoliation of the skin using a wash cloth, scrub or a facial dry brush at home helps remove dead cells, boost collagen, improve blood circulation and stimulate cell renewal giving you a glowing complexion. You can also use a mild AHA or BHA based cleanser three or four times a week for bright clear skin. However, if you feel manual exfoliation at home does not give you those quick dramatic results of a cosmetic procedure, you can always go in for chemical free exfoliation treatments such as microdermabrasion which is much safer yet produces similar results of a chemical peel treatment. Best part about manual exfoliation is your skin does not become dependent on chemicals. 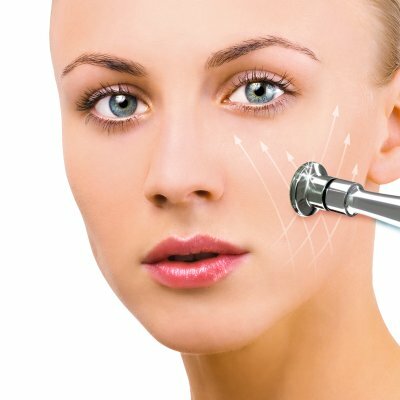 Another exfoliation option to consider for anti-aging and facial rejuvenation is a dermaroller, which also produces remarkable results but is slightly slow and expensive. So that was my understanding and take on the latest chemical peel treatments performed at a doctor’s office. Hope you enjoyed reading this detailed guide on chemical peels and found this information useful. Have you ever undergone a chemical peel treatment? If yes, how was your experience? 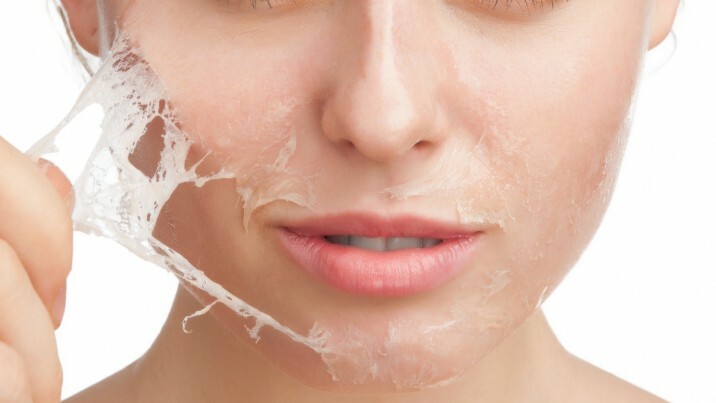 Do you think chemical peels are beneficial? Please share your thoughts regarding chemical peels in comments below. I’ve never tried chemical peels, prefer the natural methods:) Great article! Its great. you liked the post.